Federal prosecutors on Thursday reiterated their opposition to moving the Boston Marathon bombing suspect's trial out of state and said in a court filing that jury selection should begin as planned on Monday. 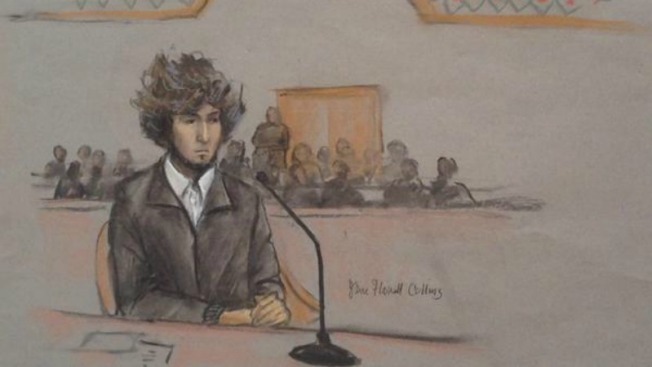 Dzhokhar Tsarnaev's lawyers want a federal appeals court to overturn a judge's decision to keep the 21-year-old's trial in Boston. They argue Tsarnaev cannot receive a fair trial in the city's federal courthouse, which is just a few miles from where the bombing occurred. Tsarnaev's lawyers filed the appeal Wednesday after a U.S. District Court judge denied their change-of-venue request as well as a motion seeking a nine-month delay. The defense is asking the district court judge to postpone jury selection pending the outcome of the appeal. Prosecutors said in their response filed Thursday with the 1st U.S. Circuit Court of Appeals that the district court correctly found that Tsarnaev had not demonstrated "the rare and extreme case" in which impartial jurors could not be found from a pool of millions of people. "The Boston Marathon bombing and related events during the week of April 15, 2013, affected several hundred victims, including both those allegedly killed and injured by Tsarnaev and his brother Tamerlan, and their families," the filing said. "Moving the trial out of the Eastern Division would create an enormous hardship for those victims and their families, depriving many, if not most of them, of any ability to see the trial." Recent high-profile federal trials in Boston - such as that of former Boston crime boss James "Whitey" Bulger - suggest that an impartial jury could be found, prosecutors said.